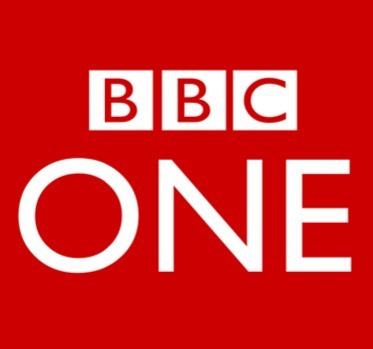 The makers of Long Lost Family and Who Do You Think You Are? 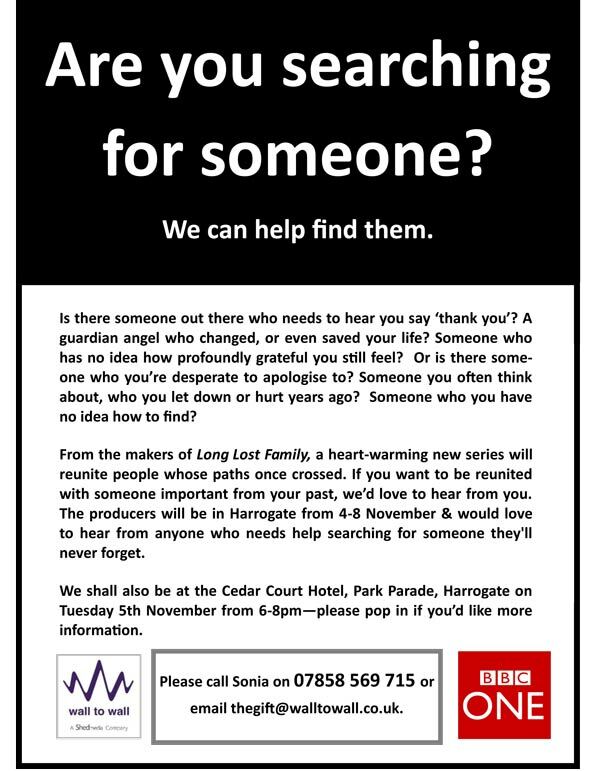 are coming to Harrogate next week hoping to help any locals who would like to be reunited with someone instrumental from their past, as part of their work on a new BBC One series. ‘The Gift’ is a heart-warming, sensitive new series that will tell the stories of people with an important but unpaid debt of gratitude or a long overdue apology to make to someone they have been unable to find or have lost touch with. The programme will undertake searches in order to reunite people whose lives crossed paths in an unforgettable and meaningful way years ago. Are you searching for someone? Is there someone out there who needs to hear you say ‘thank you’? A guardian angel who changed, or even saved your life? Someone who has no idea how grateful you still feel? Or is there someone out there who needs to hear you explain how sorry you are? Someone you often think about, who you wronged, let down, or hurt years ago? Someone whose forgiveness might ease your guilt? Someone you’ve got no idea how to find? The production team will be in Harrogate from 3rd -7th November 2013 and would like to speak to anyone who would like to share their experience or who’d like help finding and thanking, or finding and apologising to someone from their past.